On Sale! Up to 3% off on Shofars at Way North of Nashville. 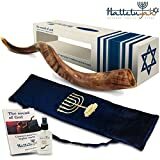 Top brands include HalleluYAH, Bestshofars, Holyland, Judaica Place, & gemsbok shofar. Hurry! Limited time offers. Offers valid only while supplies last. 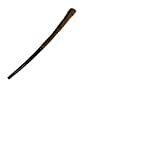 Shofar: Yemenite Jewish Shofar Small 26"-31"
Certified Shofar Rams Horn Authentic with Certification by Rabbi Machpud of Jerusalem - Size 19.5" - 21.5"